With Google placeing high priority on mobile ready website it is a vital link between attractive, functional website design and business success. Todays companies all combine beautiful presentation with priority given to usability and a first-class user experiences for their customers. An attractive, useable website design will attract new visitors, convert them to customers, and encourage them to return again. 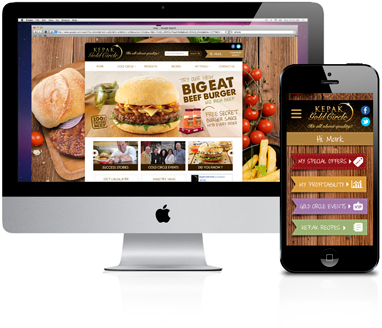 With assistance of Realise4 Consultancy the Responsive Website Designer in Dublin, you can deliver this world-class design and technology to your clients. We go deeper than great visual design and create websites that convert in an effective manner. We help you identify what your clients really want from your website and what drives them to complete the sale. Our increasingly mobile world, a responsive website is essential to business to succeed Users need to be able to access your information, products, and services wherever and whenever they want. With a responsive web designs, your website can adapt to any device your customer uses, be it PC, laptop, tablet, or smartphone.